Not everybody owns a GPS watch, and that's ok. With streamlined manual entry, as well as GPS importing, it's easy for anyone to track. It's easy to look back at all of your activities. See a quick overview on the dashboard, or dig deeper in the browse view. 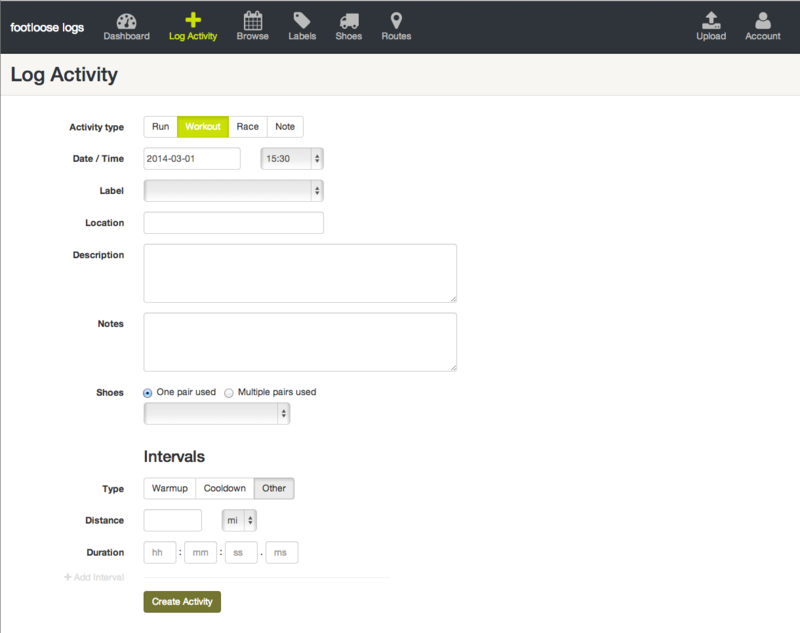 With each activity, you can track one or more pairs of shoes...that way you know when it's time to get some new ones. A responsive design will adjust to the device you're using, whether it be a smartphone, tablet, or desktop, letting you access your info while on the go. Footloose Logs is designed specifically for runners and only runners. Focusing on a single sport allows you to find the information you want, quickly. No annoying messages about PR's, other runners, running plans, segments...you get the idea. Footloose is designed to stay out of your way and let you focus on your own data. 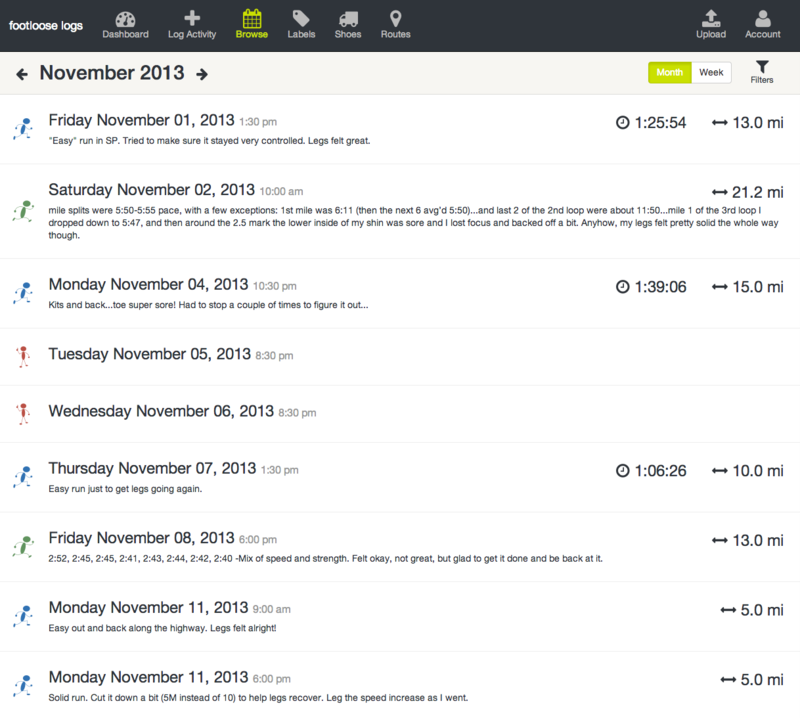 View your weekly mileage, view your GPS data, and filter your activities with labels and by type.